And he likes pairing it with our favorite protein, chicken. 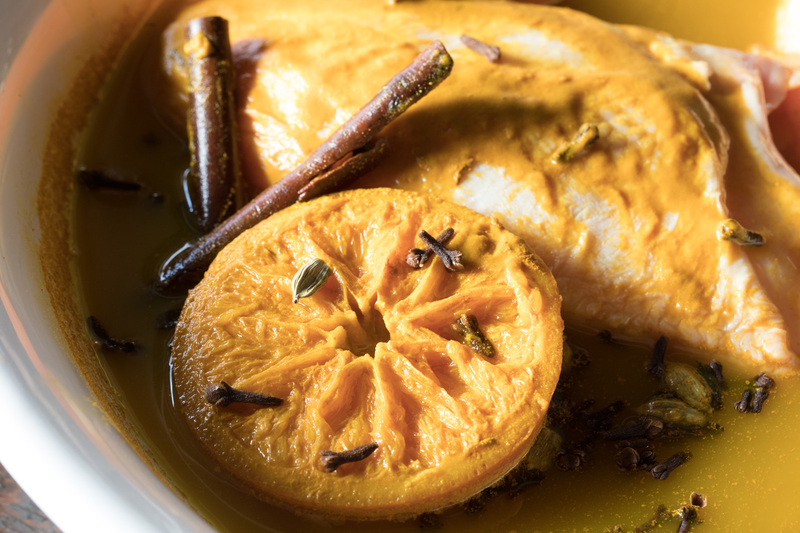 Chicken is “one of those things a lot of chefs don’t gravitate towards or give much thought to,” says Fry, but it’s one of his favorites. The secret, Fry says, is quality chicken, brined and then cooked over hardwood or charcoal. 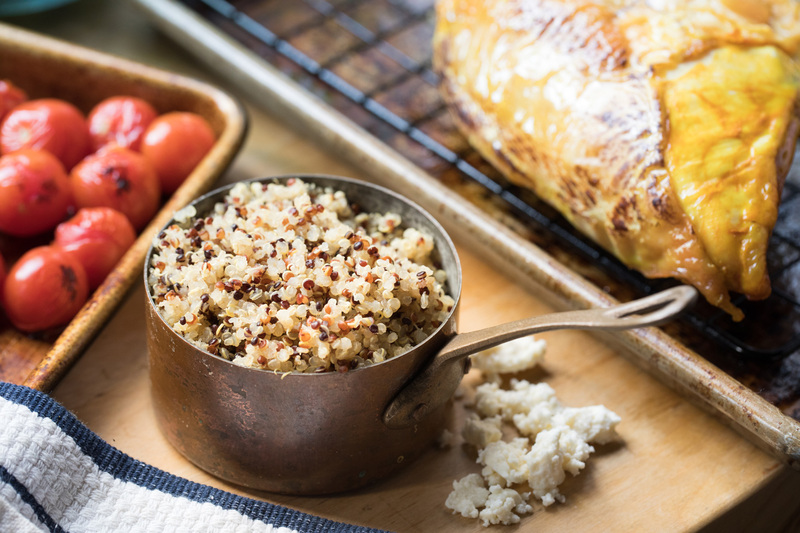 Fry serves chicken any number of ways, and shares this chicken bowl recipe with a Mediterranean/Middle Eastern bent. Method: mix all brine ingredients and bring to a boil. Turn off heat and chill to cold. Rinse quinoa, cover with 2x water, bring to a boil, cover, reduce heat to low, cook for 15 minutes or till just tender. Fluff, drain if necessary and dry with paper towels. Season to taste with kosher salt and a touch of olive oil. Pre-heat oven to 450 degrees. 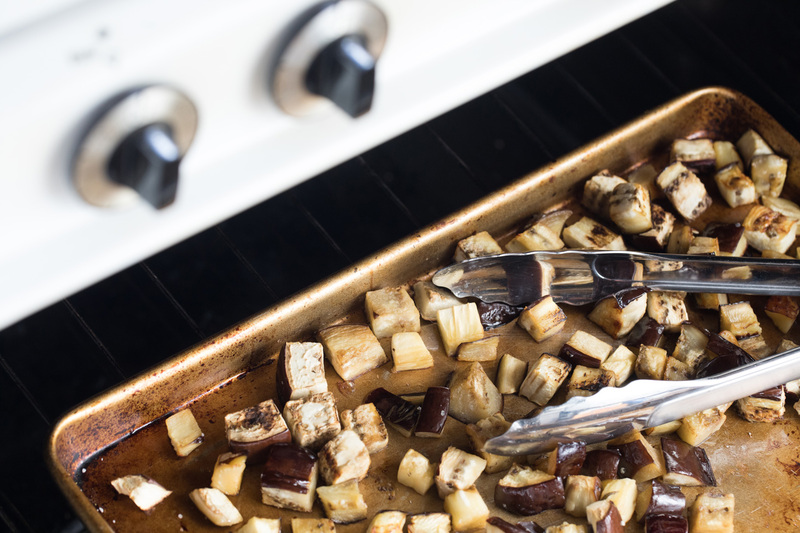 Toss diced eggplant in Extra virgin olive oil (EVOO) just to coat. Pending size of eggplant, it could be a ½ cup per eggplant as it absorbs like a sponge. Season to taste with kosher salt and fresh cracked pepper. Place on a baking sheet, loosely and not over-crowded and roast till you see crispy edges and a soft interior. Let sit until warm to room temperature. Lightly toss with EVOO and season to taste with kosher salt. Roast tomatoes under high heat (500 degrees) until hopefully charred a little and soft but not deflated. Remove chicken from the brine and towel dry. Lightly coat with a little EVOO. Roast chicken on wood or charcoal grill (or in oven on roasting tray) until 155 degrees. Let rest for 10 minutes. Pull the meat into bite size portions. 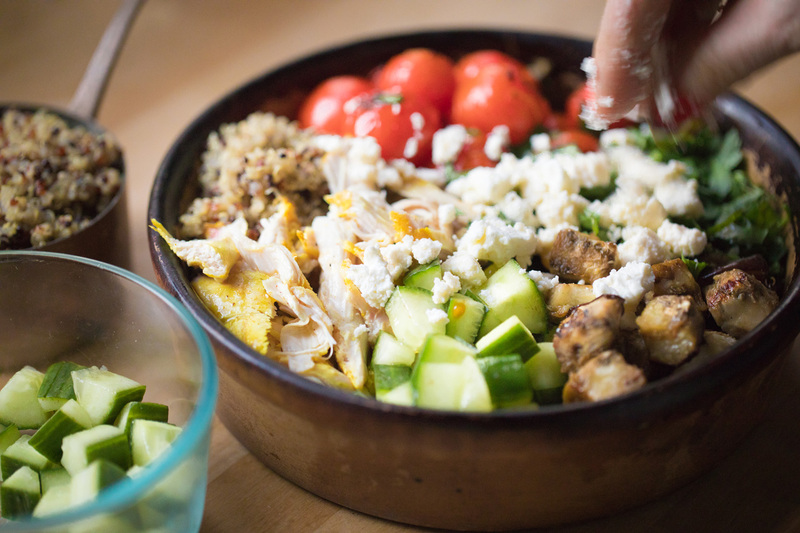 Build the bowl in compartment format like a pie chart: Pulled Chicken, quinoa, roasted eggplant, herbs and tomatoes. Spoon dressing over the top. 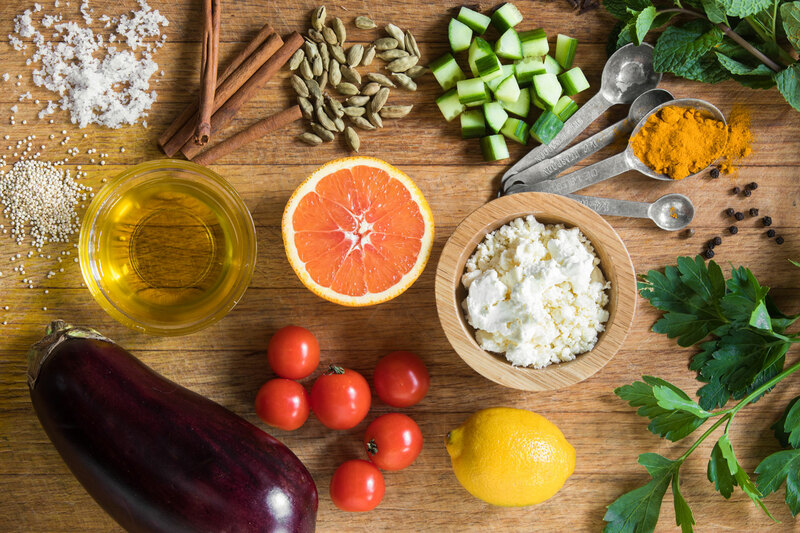 Add feta (or goat cheese if you prefer). Soon families in Atlanta will have a whole new way of enjoying Chick-fil-A, thanks to the brand-new Chick-fil-A Mealtime Kits, which debut for a limited time only beginning on August 27! The Mealtime Kits make preparing dinner quick, easy and fun for the whole family. Each provides a unique twist on the classic Chick-fil-A chicken, while adding a familiar but different take on a classic dish.